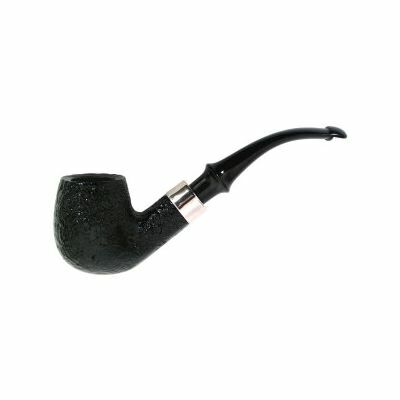 Barling Pipes at one-time were competing with Alfred Dunhill's classics. Since 1812, Englands oldest pipe maker has established a fine reputation for creating fine briar and African Meerschaum pipes. Using Algerian briar and air-curing the pipes for years, Barling was able to create exceptional pipes on par with the Dunhills of the day. 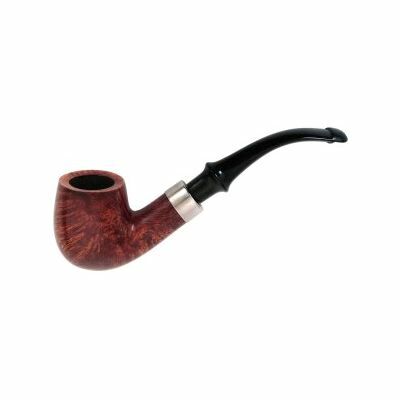 By the turn of the century and right up until the company was sold in 1960, pipe smokers all over the world sought out the name "B. Barling & Sons", knowing they were purchasing one of the best smoking pipes the world had ever known. Beginning in 1960, after numerous location and quality changes, the Barling Company entered a transitional stage. However, shortly thereafter, the company now referred to as The New Barling company was more concise in its numbering and branding of pipes and more assertive in bringing back the old quality and standards from the pre-transitional period. Barling system pipe with a bent stem finished in smooth light-stained briar. Barling system pipe with a bent stem finished in smooth walnut. Barling system pipe with black sandblasted finish. However, shortly thereafter, the company now referred to as The New Barling company was more concise in its numbering and branding of pipes and more assertive in bringing back the old quality and standards from the pre-transitional period. For instance, right after the sale of the company, the first thing that was done was that a numbering system was put in place that made a lot more sense. Four digit-numbering systems were implemented so that from the number alone one could ascertain many of the characteristics of the pipe. The first digit represented size, while the next three are shape number. So for example, 3374, 4374, and 5374 were all the same shape, while the first digit indicated three different sizes. Size started at "2" and went up to "6" followed by King. This loosely followed the old M, L, EL, EXEL, EXEXEL, G sizing system from the original Barling Company. In addition, the post-transition company switched over to a "Barling London England" script for the shank nomenclature (instead of the block "BARLING'S arched over the word "MAKE".) However, you will occasionally see pieces that are stamped with a shape number like 6409 with the arched BARLING'S MAKE. For a little while, the 1960s transition company used a very small BARLING'S MAKE stamp from before the war to complement their new shape numbers. Many times they used the old pre-war briar blocks as well. These pipes continue to be an exceptional value for the money. They generally contain Barling written in a cross shape on the stem and the numbering system still remains intact. 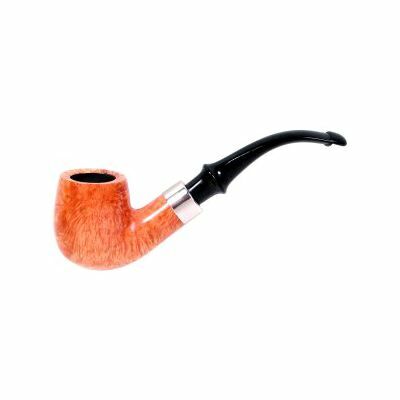 The briar continues to be top notch and the African Meerschaum holds its own against Turkish meerschaums.